If you are looking for a good idea to spend time with your loved ones this week, we got just the thing you need. How does checking restaurants and hawker stalls off the Michelin’s Bib Gourmand list sounds? Well, there’s 50 of them, enough to preoccupy you for a month. Bib Gourmand recognises hawker stalls and restaurants that serve good food at a moderate price. In the case of Singapore, good food below S$45. After sorting the restaurants and hawker stalls out according to their areas, we cannot help but noticed that they are mostly located in the Central and Southern part of Singapore. While it is fun to check out some of these places, do take note of the average prices as some of them are rather steep or have bad reviews online. It costs slightly more than S$604.20 per person to try out all the outlets using the average price. As most of the hawker stalls and restaurants are located near each other at the Central and Southern part of Singapore, having a food hunt can be rather convenient. There is a total number of 17 restaurants located near the central of Singapore. There is a total number of 1 restaurant located in the Western part of Singapore. There is a total number of 2 restaurants located in the Eastern part of Singapore. How much do Singaporeans spend on food each month? How much do you spend on food each month? According to the Singapore government’s household expenditure survey, Singapore household spends an average of S$1,188 per month on food and food serving services. Food serving services include meals bought from restaurants, hawker centres, good courts etc. For Singaporeans living in 1&2 room flats, they spend an average of S$157.20 on food serving services. For Singaporeans living in 3 room flats, they spend an average of S$203.30 on food serving services. For Singaporeans living in 4 room flats, they spend an average of S$221.80 on food serving services. For Singaporeans living in 5 room flats, they spend an average of S$242.90 on food serving services. Singaporeans living in condominiums and other apartments spend the most on food serving services. They spend an average of S$361.30 on it. For Singaporeans living in landed properties, they spend an average of S$280.70 on food serving services. Are you overspending on food? 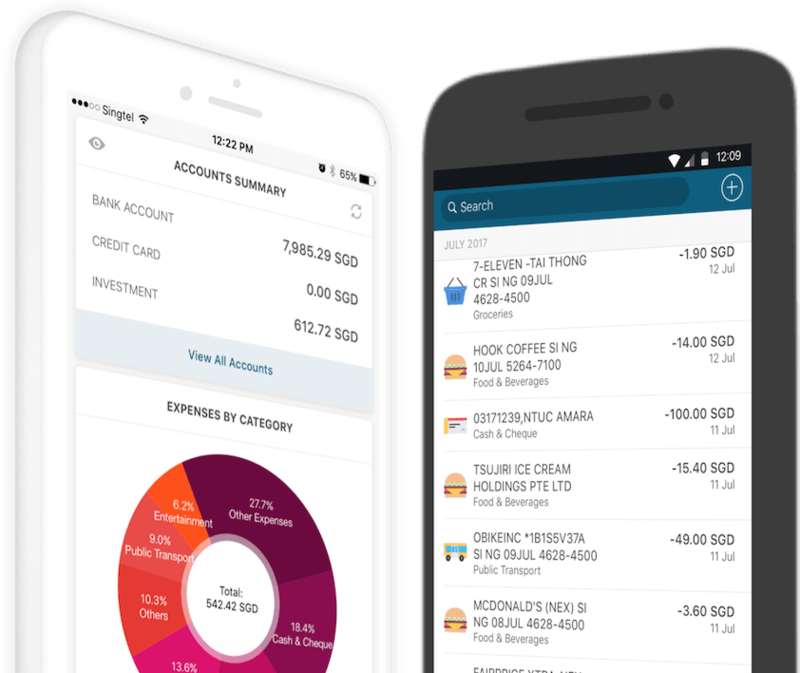 Start tracking your expenses with our app today to find out. GrabRewards Revaluation: For Better or For Worse? Here We Find Out.